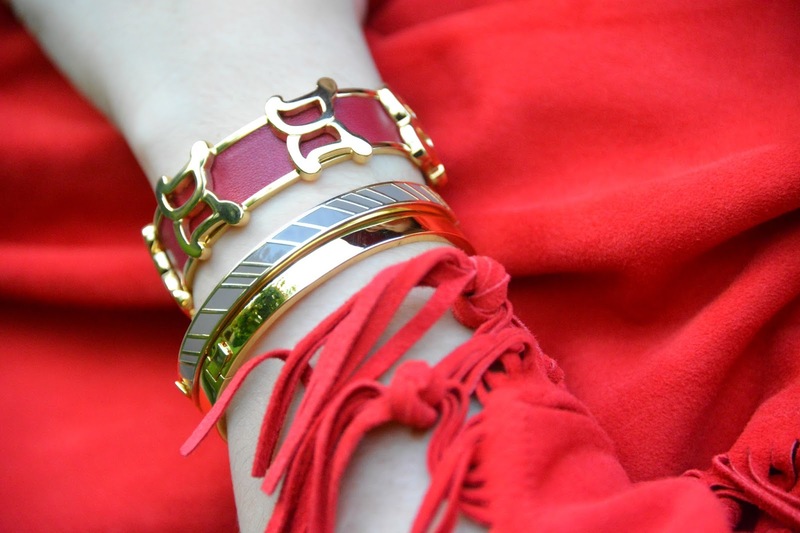 Today, my inspiration was Zorro – or maybe the little red riding hood…? Not quite sure, but I am loving the dramatic feel of this outfit. 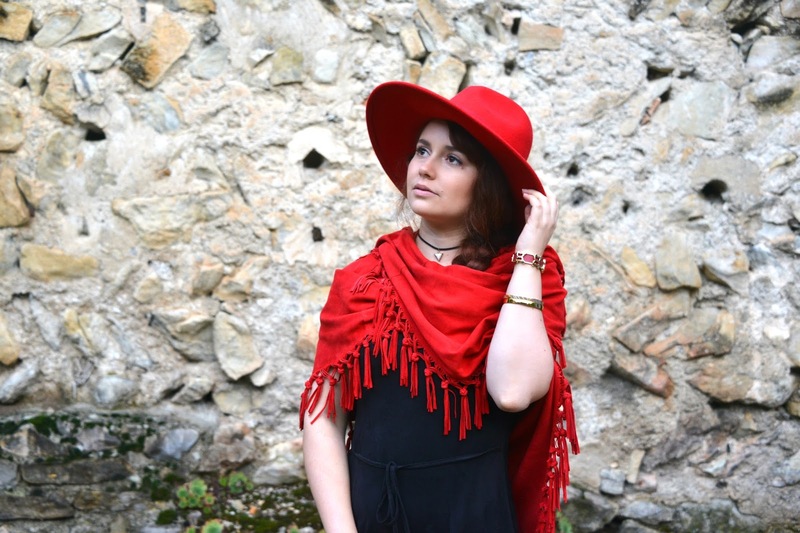 The red felt hat and suede shawl really are the perfect pop of color for this cold and gloomy season. 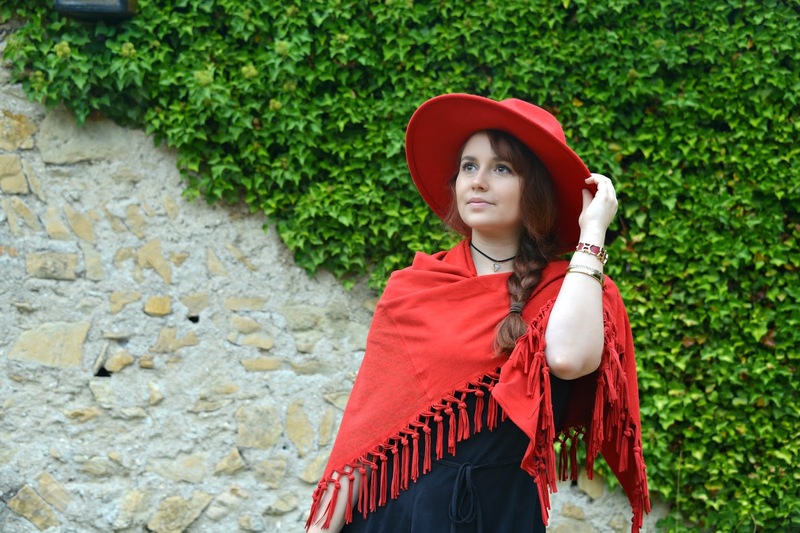 I especially love the hand-knotted fringes of the De Marquet shawl and it’s signature pattern, which really gives it a special look.